The pool faces west so you get amazing sunsets all year long! 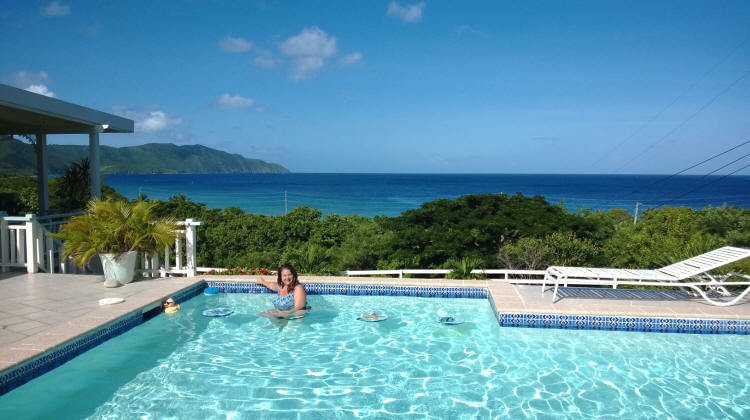 of the north shore and the Caribbean Sea from this St. Croix Holiday Home! There is also a fountain with a waterfall that flows into the pool. There are 10 lounge chairs and a hammock located around the pool. 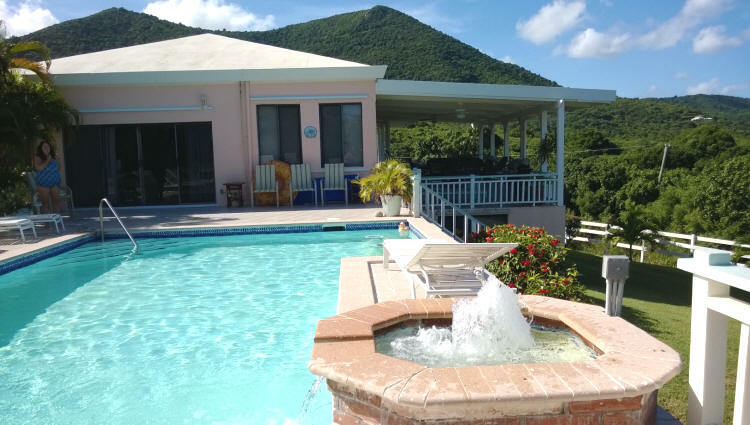 Great for soaking up the Caribbean sun or perhaps a nap under the stars!